If Hollywood and literature are to be believed, the fear of being bitten by a dog is a powerful one. Films like “Cujo” and novels like “The Hound of the Baskervilles” are classic examples. But films such as “Beethoven” and “Old Yeller” present another type of fear: What happens if your beloved family pet bites someone? Does Beethoven need to be locked up? Will Old Yeller have to be put down? A number of veterinary clinicians and animal control officers in Boston say no, not so fast. But they add that being aware of what to do in such an incident is valuable. The immediate concern is to seek medical attention. Even if there is no blood, getting the wound checked is a good idea, said Nicole Breda, lead veterinarian at Boston Veterinary Care. Once the wound is tended to, both the victim and pet owner should treat the incident like an auto accident and exchange information — especially the dog’s vaccination records — and notify their insurance providers, Breda said. From this point, there are two series of consequences, one for the dog, the other for its owner. Under Massachusetts law, every dog identified in a biting incident has to be quarantined for 10 days, during which an animal control officer determines whether the dog needs any rabies shots. In most cases, a quarantine simply means the pet has to stay inside its owner’s home for the duration. “People get worried that we’re going to judge the dog, but it’s just a public safety concern,” said Amanda Kennedy, director of Boston’s Animal Care and Control department. If you’re worried your dog could be put down, don’t be, she said. The hearing officer could order that a dangerous dog be muzzled, put in a pen, or kept on a short leash. Only in extreme circumstances would the hearing authority recommend that a dog be euthanized, Kennedy said. 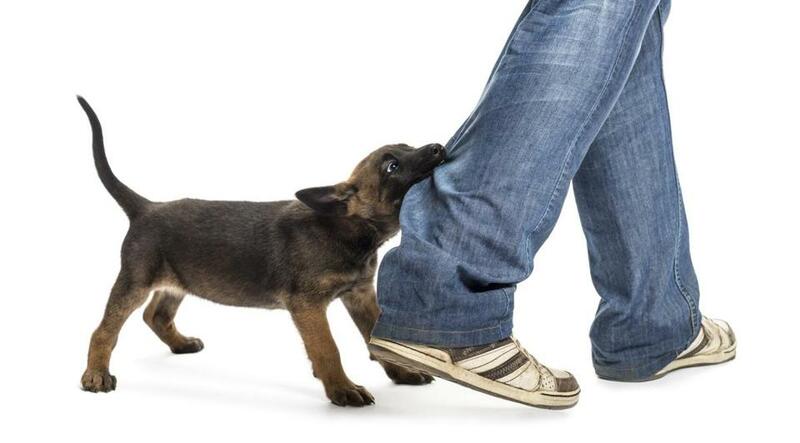 If your dog or an animal under your care bites someone, you could be liable for damages, even if it’s the dog’s first misstep, said David White, a partner at Breakstone White and Gluck, a Boston law firm that has represented victims of dog bites. Most homeowner insurance policies cover dog liability, he said, but some policies may not include breeds like Rottweilers and pit bulls, which many perceive as aggressive. “The really important thing if you’re a homeowner, if an incident occurs — immediately notify your insurance company,” said White, whose firm takes on two or three bite cases each month. If a dog bites someone who was trespassing, or if the bite victim was “teasing, tormenting, or abusing” the animal, Massachusetts law allows no recourse for the bitten. How can you tell a dog is about to bite? Kennedy and Martin Wright, owner of Argos Dog Training in Boston, say the animal tensing up, ears pulling back, and eyes widening are signs that an outburst may be imminent. But recognizing the warning signs doesn’t address the roots of the dog’s inclination to lash out. Wright, who has been working with dogs professionally for more than 15 years, says dogs bite because they’re stressed out. Dogs have a latent stress threshold, Wright said, and if they exceed it, aggression can take over. Hunger, pain, or even a new route during a walk can trigger enough stress when combined with stress “stackers” — like strangers petting them. The biggest thing owners can do to alleviate stress for their dogs? Stick to a routine. Feeding and walking dogs at the same time of day, using the leash as a tool to communicate, and not letting every stranger pet them can go a long way in relaxing your animal. “Always look at the world from your dog’s point of view, to the best of your ability,” Wright advised. And, if you do notice your dog getting agitated, walk it away, Breda said. Avoid the area, person, or animal causing the problem. Meanwhile, if you think you’re about to be bitten, standing still is your best option. “Stand like a tree, don’t make sudden movement, avoid eye contact, and hope the dog doesn’t see you as a threat,” Breda said. Marek Mazurek can be reached at marek.mazurek@globe.com.